The RC67-Series Free Chlorine electrode is an excellent choice for continuous measurement of residual chlorine in swimming pools, spas, industrial applications, or dirty/colored samples where colorimetric methods are inadequate. The electrode will fit many existing flow cells and uses a three-electrode amperometric measurement technology. The measured chlorine concentration is proportional to the output (0-5V or 4-20 mA), which is compensated by .. 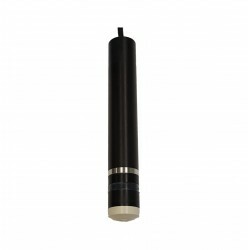 The RC66-Series Free Chlorine electrode is an good choice for continuous measurement of residual chlorine in swimming pools, spas, industrial applications, or dirty/colored samples where colorimetric methods are inadequate. The measured chlorine concentration is proportional to the output (0-5V or 4-20 mA), which is compensated by an internal temperature sensor. 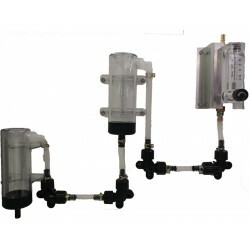 It is primarily intended for free chlorine analysis and has easily replaced membranes..
Flow Cells are a required accessory for parameters like Chlorine and an excellent option when it is desireable to have a continuous, controlled sample flow past your electrode. The ASI Flow Cell Assemblies are available at the component level so you can customize the set-up you need for your application. For the RC67 or RC66 Chlorine Electrodes we have both a 1" compression fit flow cell and a 1/2" NPT flow cell. 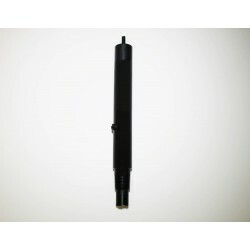 The 1/2" NPT version can also b..